Every fashion girl loves a good pair of sneakers. One of our personal favorite classic styles out there, however, would have to be Converse's Chuck Taylors. Everyone from Alexa Chung to Emily Ratajkowski depends on the style, as do many street style stars. We'd say they're pretty much a necessary staple in your sneaker collection. We know you might be thinking about putting them away for much of winter and fall, for fear of the canvas uppers not being able to stand up to the weather. Well, we have some amazing news for you. Converse just released an all-new line of waterproof sneakers! 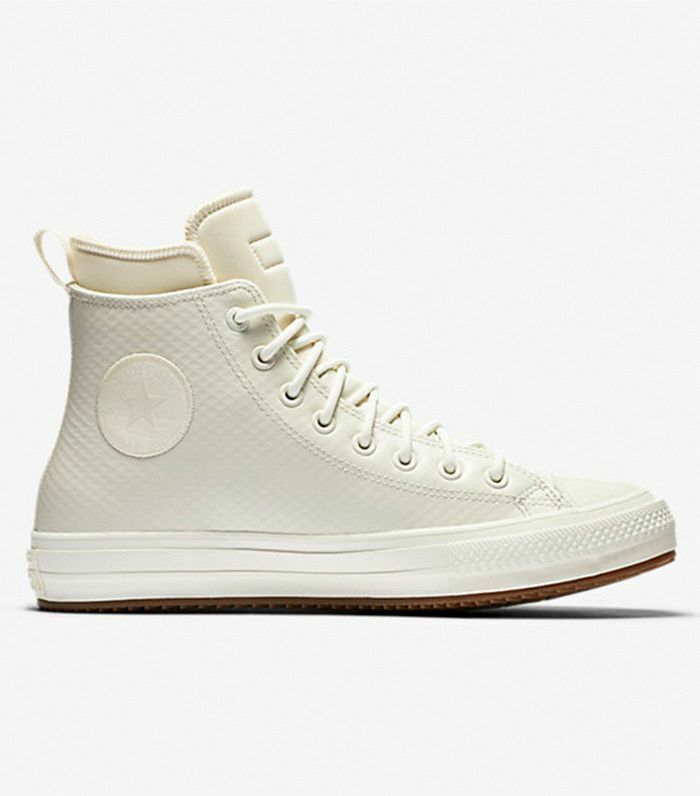 The Counter Climate collection still includes the classic Chuck Taylor silhouette but adds in a few new sneaker-boot hybrids that you're going to love too. Get a pair for yourself and thank the fashion gods that we don't have to put away our favorite kicks for the winter. Scroll on to shop a few of our favorite waterproof styles! Will you be investing in a pair of these? Let us know in the comments below!